Though made of plastic, the device has a beautiful and nice design with availability in vivid colours of Black, White, Red and Gray. The glossy back also adds appeal to the smartphone. The smartphone poses a 5 inch S-LCD 3 display with Full HD resolution (1920 x 1080 pixels). This results in brilliant 441 ppi pixel density. The colour depth of 16 m colours makes the display bright and viewable even under direct sunlight. Company has added Gorilla Glass on the screen to protect it against external damages as well as scratches. It’s powered by a 1.9 GHz quad-core Snapdragon 600 processor along with Adreno 320 GPU for processing graphics. The processor is complements with a 2 GB RAM ensuring smooth performance of the device and offering absolutely zero lag while playing games or processor-intensive tasks. Not only the device offers a massive 16 GB in-built memory, it also has an option of expandable memory. This is a big relief for those who liked HTC One, but wanted to have the flexibility of adding storage via microSD card. 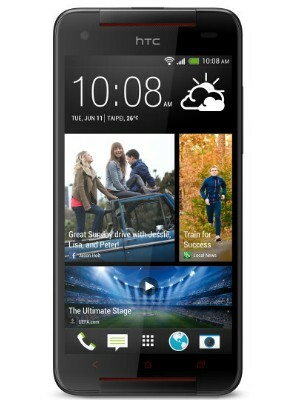 The smartphone allows addition of microSD card of up to 64 GB. What’s more, the smartphone has a complementary 25 GB storage from Dropbox for a period of two years. HTC started the concept of ultrapixel camera with One, which actually means unlike going after lots of megapixel, it has packed more number of pixels in one megapixel and thus called as ultrapixel. The smartphone has the same ultrapixel camera of 4 MP with BSI sensor giving great shots not only in good lightning conditions, but also in low light. While Zoes functionality is related to Camera directly, but it’s so interesting and effective that it warrants a point of its own. Zoe allows capturing of short instant videos of 3.6 seconds so that the whole moment is stored. Zoes can be watched on Zoe Gallery as well as shared over zoeshare.htc.com or social networks. HTC has also brought the BoomSound feature on Butterfly S which means that the device will output great sound due to the two speakers available at the top and bottom. The smartphone also has integrated Beats Audio technology giving awesome sound experience while using earphones. The device offers all the standard connectivity options of 2G/ 3G/ 4G networks, Bluetooth 4.0, Wi-Fi, Wi-Fi Hotspot, GPS with A-GPS and even NFC. For connecting to TVs, the device has MHL enabled micro-USB port or wireless streaming through DLNA. 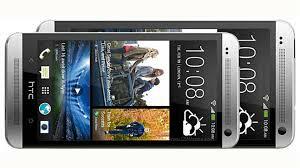 HTC have always been applauded for its software customization on top of Android software. The smartphone has Android 4.2.2 (JellyBean) with Sense 5 UI. It brings BlinkFeed widget on the home screen of the device which offers latest news and even social updates in a visual layout. Users can add or delete the sources from which they want to read and thus without even opening any app, they have access to important updates. HTC Butterfly S is given juice by huge Li-Po battery of 3200 mAh. The company claims standby time of more than 650 hours and talk-time of 25 hours during 3G. All of the features mentioned above make it an all-round device and an excellent choice for those who liked HTC One, but also wanted more from it. The Guest Author of this post is Julia. She wrote several tech posts for 91mobiles.com. Her passion for upgrading her knowledge puts her to research on topics relevant to her industry. Besides, she also likes to share her findings by writing about them in her free time.